"I have never seen or experienced anything like that," said one resident about the explosion that killed seven people, injured 30 and displaced 80 a year ago. Even Montgomery County's fire chief said he "can't fathom" what it was like to be in the building in the Flower Branch apartment complex. Residents are trying to move on, but the process is moving slowly. SILVER SPRING, Md. 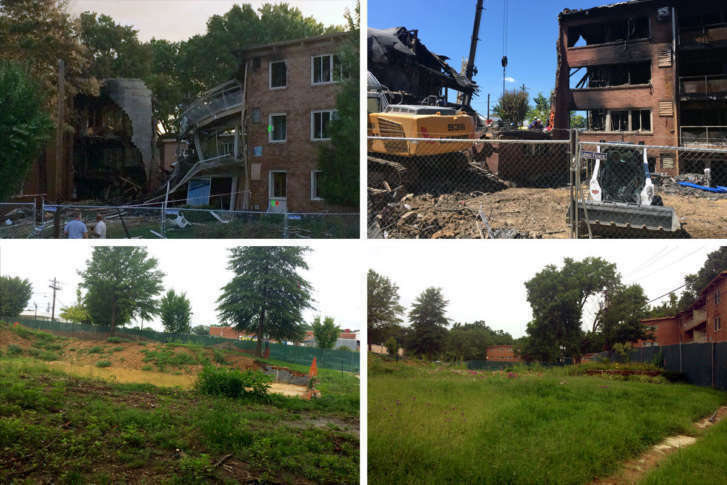 — One year after a fatal explosion rocked a neighborhood in Silver Spring, people who lived through the horrific incident are still experiencing severe trauma as they work to move forward and rebuild their lives. “I have never seen or experienced anything like that,” said Felicia Charlouis-Prospere, who lives at the Flower Branch Apartments complex. In the waning hours of Aug. 10, 2016, a basement utility room at the complex near Piney Branch Road and University Boulevard filled with natural gas and exploded, leading to a massive fire and building collapse. Seven people died. More than 30 suffered injuries. Debris went flying hundreds of feet. As residents struggled to get away from the scene, parents dropped babies out of windows to bystanders and police officers. The explosion displaced roughly 80 people. They lost everything, including their clothing, furniture and important documents. In all, the explosion affected about 125 residents. “We will always remember that day,” said Montgomery County Fire Chief Scott Goldstein. Many of the victims joined lawsuits against Washington Gas and the property management company Kay Apartment Communities, but they are still seeking closure. Their litigation is moving slowly. Questions about what caused the gas leak and explosion are still without answers. Pipeline experts with the National Transportation Safety Board continue to investigate. “These folks are trying to figure out how to move on,” said George Escobar, senior director of health and human services with the immigrant rights group CASA. “The material recovery has been slow and still difficult, but that was not as significant as the trauma that they suffered,” Escobar said. Most are immigrants, from seven or eight different countries, and do not speak English, according to CASA. But they are supporting each other through their shared experience, forming bonds across racial and linguistic lines. They also received a significant amount of assistance from the public. 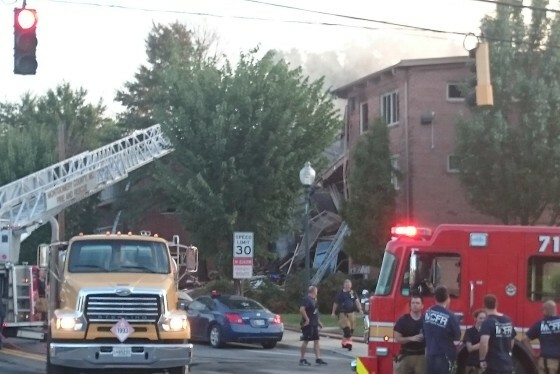 “The community came together and found a way to help these families,” said Rob Goldman, president of Montgomery Housing Partnership, a housing development organization based in Silver Spring. Goldman’s group raised more than $820,000 for the victims, providing essential items and giving thousands of dollars in cash directly to families. Today, the explosion site is an empty, grassy lot surrounded by a chain-link fence. The Long Branch community is working to raise money to build a memorial for those who died, and a vigil is planned at the complex Thursday night to mark the one-year anniversary.